Reporting service is a free application coming with sqlserver so if you have sql server in your organization then probably you have Reporting service as well. 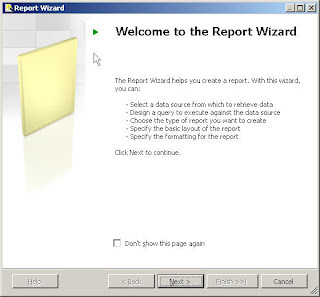 It is a repository for your reports you can create reports by some tools then publish your report to this repository then your applications including windows and web can send request to this repository and get the report in a browser. Since you can create complex report to show different charts and graphs, it is one of the handy tools to use specially in Intranet web applications. Also you can use reporting service for internet applications However, you will be charged for that. What do you need to know about Reporting services? How to create a report? When you install sqlserver2005 you have a special template will be added to your visual studio which is "Sql server Business intelligence development studio". You can use this template to create a report then as I explained you have to publish your report then other applications can address that report. 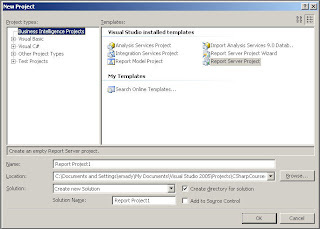 Open visual studio from file menu select New Project then you can select Business intelligence project. 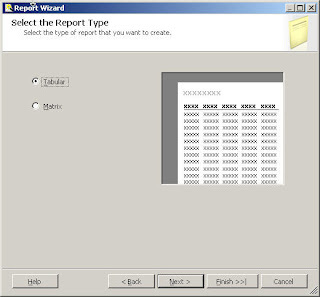 In this list you can find Report server project wizard or Report Server project. 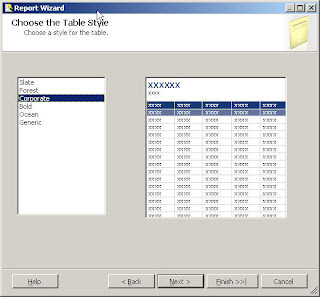 Using Wizard help you to speed up implementation of you report. Let's select Report Server Project. 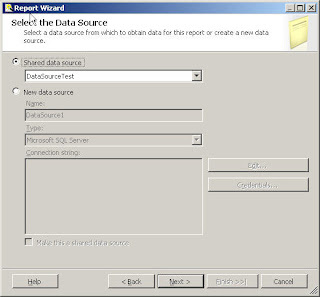 As you see in solution explorer you have two folders one is shared data source and another one is Reports. You need a connection to Database in Reporting service we call that Data source. But if you have multiple reports over one data base you better create one Shared data source to share between them. Because if database changed then you need just change shared data source and everything should be all right. 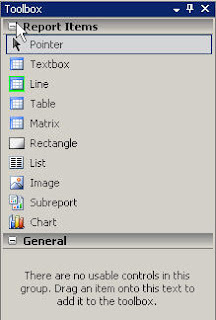 The reports folder is where you create your Reports. 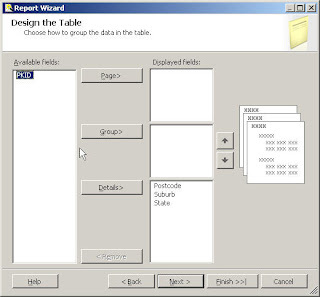 I recommend you to use wizard to create the basics of your report then change report to the way you like. All you need to do provide an alias name for the shared data source and a correct connection string. 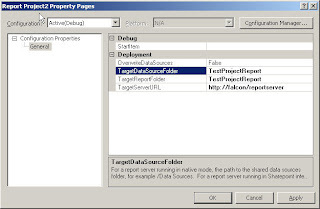 The connection string implies to which data base shared data source can connect. You may click on Edit then you will see a familiar window to define a connection string. You can use windows or sql server authentication. Then click on ok. You are done. Now you have a shared data source that can be used in different reports in your project. Click on next in next page select the shared data source as you see you can select a custom data source but I do not recommend this. Using shared data source is more maintainable. In Next step you need to define your query in our case we are retrieving data from a table but you can retrieve data form view as well. 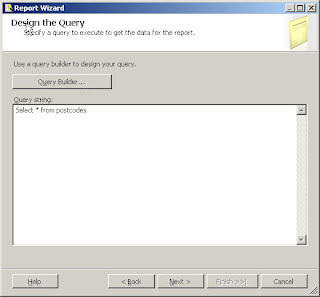 If you take a look at the next picture you will see the query builder button when you go to that page in left top corner of window there is a button which is generic query designer then you can add the tables and views you want and define the query with query designer assistance. In next step you have the ability to define which fields you need to show in report also you can define group by to show details of one product (please see the clip to see a sample of this) right now we just choose the fields we want to have in our report. In the Preview tab you can see the result which is your report. 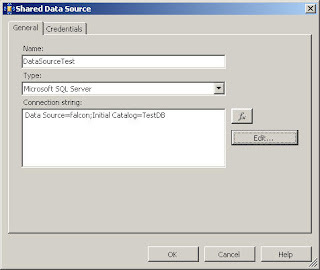 OverwriteDataSources: define whether you prefer to overwrite previous deployed data sources. I highly recommend specify the same folder for TargetRootFolder and TargetDatasourceFolder because if you are getting Reporting services for an internet site from a shared reporting services in internet you will be offered just one folder so you need to have all of them in one folder. Click on ok again right click on your project select deploy then after a while it will be deployed to the server. How to check report in your server? Then you will see the result. The very power full point about Reporting service is that you can export data to different sources like pdf, Excel, Web services and etc. Please see the clip to get some more information. Also you will learn how to create Chart reports. printing reports in web applications was always the main problem in our projects, our current solution is to convert to pdf, now I think reporting service will help us! I am Happy to see your blog. Excellent post, Emad! This is really helpful, and the clip was a nice touch! I am Mohamed Samir from Egypt. After teaching C# for almost 5000 hours in my country I decided to immigrate to Australia and here I did not have a chance to teach C# so I came up with the idea of teaching through internet. This site has some lessons for both beginners and professionals also I will try to cover asp.net and windows and distributed applications.